This is not a Jersey Giant! I bought six of them. Four are Jersey Giants and two are??? 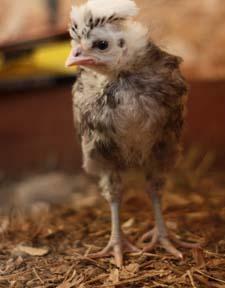 One of my Light Brahmas at about 3 weeks. 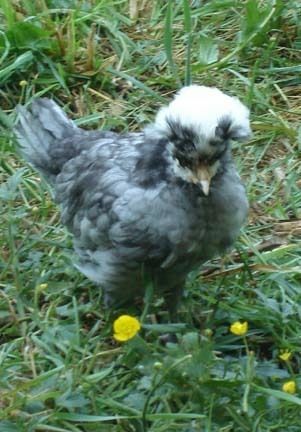 This is my White Crested Polish chick. She is a riot. One of my baby EE chicks grooms her head feathers while she sleeps........so cute. 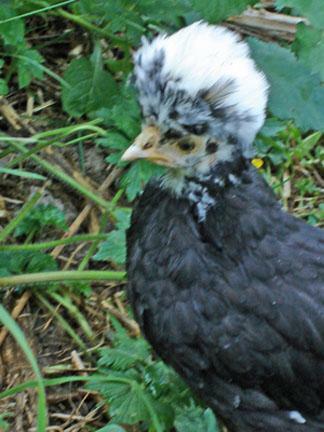 My other White Crested Polish chick. Her body feathers are coming in grey. You notice I am calling them both "she" but the truth is they were streight run chicks so I don't have a clue if it is a roo or not. 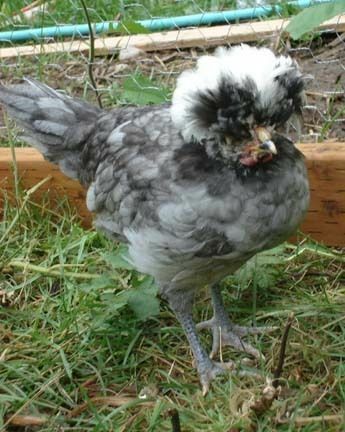 Here she is again, grey feathers and all. Amazing what changes will occur in just 2 weeks. 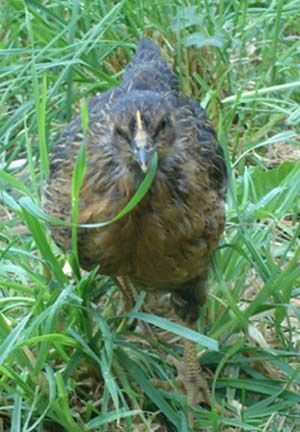 Here is the chicken I thought was a Jersey Giant. 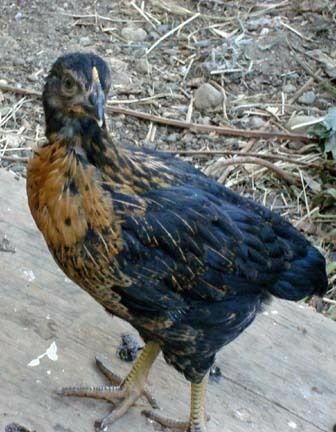 She is keeping up with the Giants in size, but what's with all those orange feathers?? Omlet is enjoying her new chicken run. Black/Grey White Crested Polish checking out the buttercups. 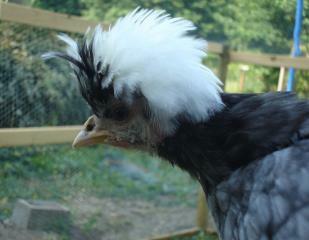 Our Black/Grey White Crested Polish sports quite a feather do. 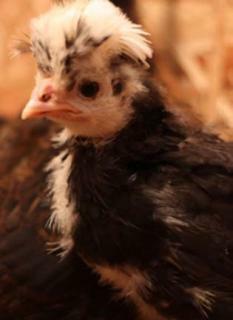 At night one of our 3 week old EE chicks grooms her head feathers while she falls asleep. Sooooo cute. 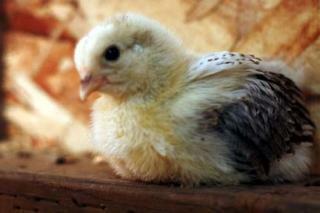 My Light Brahma chick at about 6 weeks. She is so sweet and friendly. 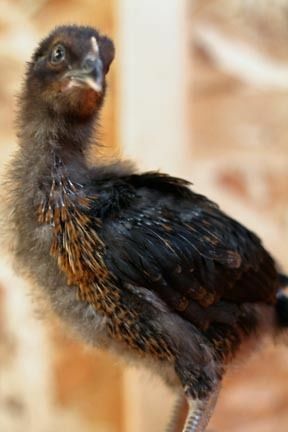 This is our black Polish chick, about 7 weeks. She isn't as grumpy as she looks. My Grey Polish is looking better all the time. I suspect I have a roo, but don't want to believe it. 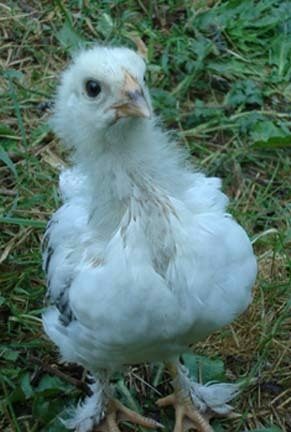 I went out today to take some photos of my White Crested Polish chicks who are 10 weeks old now. I haven taken pics before and it is more of a challange that one might think. 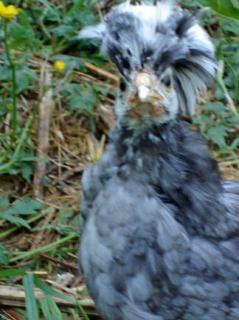 My Polish are just two of my flock of 31 various breeds. I finally just sat in the corner of their run and called, "Chick, chick, chick." That didn't work because I had half the flock come running to my lap for what they thought would be a treat of watermelon or strawberries, not just a camera. I sat there for a long time and this is what I got. Sorry, having trouble uploading the pics. Will get back to it tomorrow when I have more time to figure out what I am doing wrong.